Do you remember sewing cards? As a child, I loved to hand stitch with yarn or a shoelace through holes punched around some simple shapes. It wasn’t long until I was embroidering with a real needle and floss, and sewing by machine. The beauty of sewing cards is that you can use them again and again – simply take out the stitching. Even toddlers can learn to sew with sewing cards. 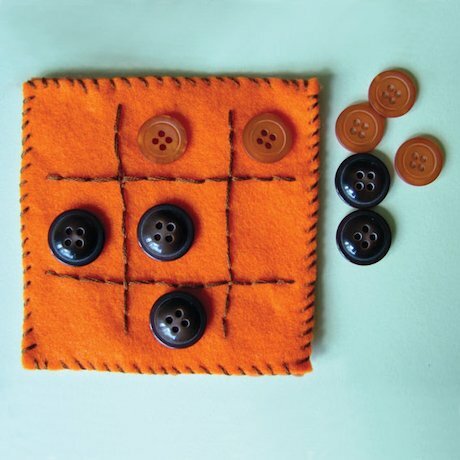 What a great way to occupy the little ones and let them feel a part of the action while you’re sewing! I ran across a web page by Scholastic with several simple sewing projects that will be perfect during our shorter days and winter weather. Beings I don’t have any wee ones here, I think I’ll dig through my stash of fabric and supplies and make take-along sewing kits to send to the grandkids. For the smallest ones, simple sewing cards with shoelaces – no needle required! For the older ones, I think the tic-tac-toe game will be perfect. So check out the projects and browse the site for other cool craft ideas. Then gather up your scraps and other supplies and have some fun with the kids! If you don’t have the supplies on hand or would just rather buy a pre-made kit, here are some Amazon.com craft kit links.